tell all your gal pals! 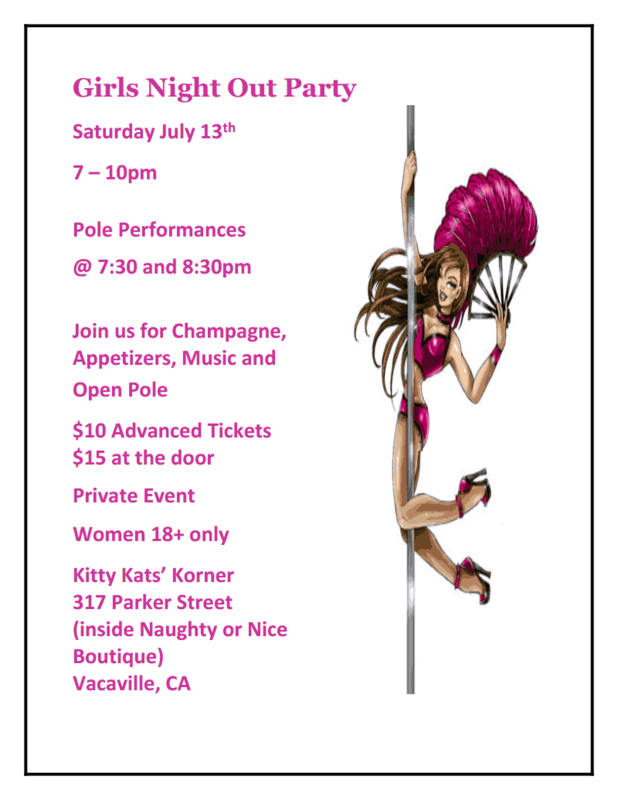 This entry was posted in Private Party and tagged Kitty Kats Korner, Ladies Night, Naughty or Nice Boutique, Ple Dancing Demo. Bookmark the permalink.